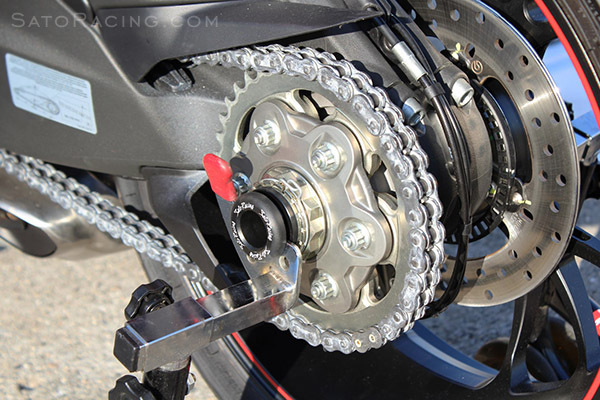 SATO RACING Rear Axle Sliders [Type 2] for 2008+ Ducati models with single-side swingarms features slider pucks CNC-milled out of high density, abrasion-resistant Delrin plastic for excellent protection from scrapes or more serious damage to the rear wheel or swingarm if you lay it down at speed on the track. 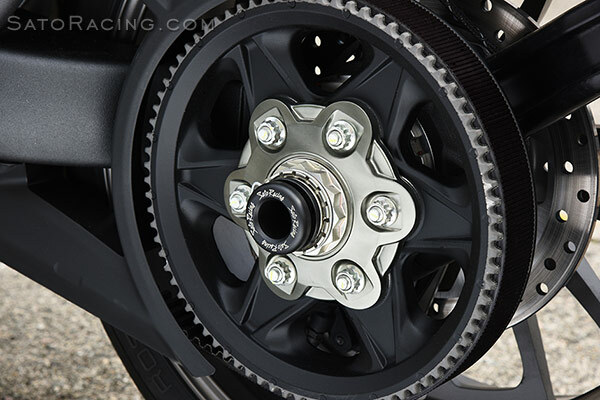 Sliders fit into the rear axle hub and are securely held in place with a stainless steel throughbolt. 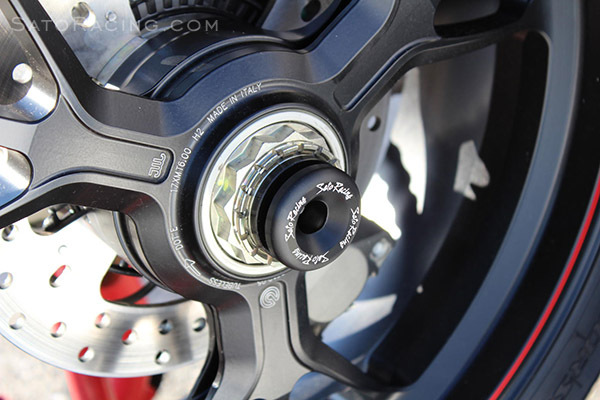 These 'Type 2' Rear Axle Sliders have a groove design on the outside rim of the slider pucks that allows the bike to be used with compatible hook-type rear stands. 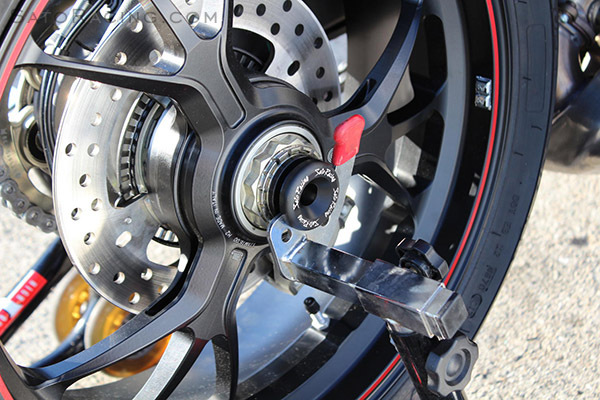 The left side slider puck features a hollow inner sleeve, for compatibility with single-side swingarm-type stands. 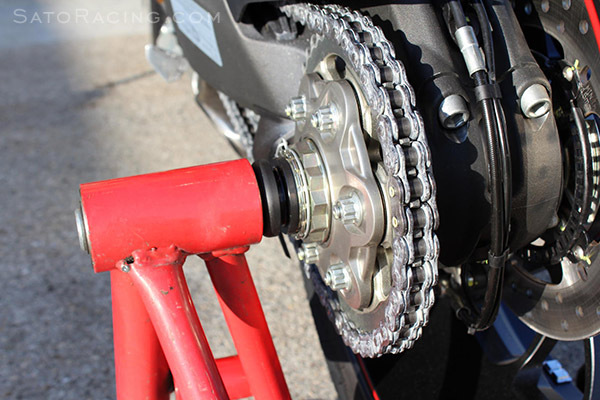 the rear wheel needs to turn, such as during dyno testing. 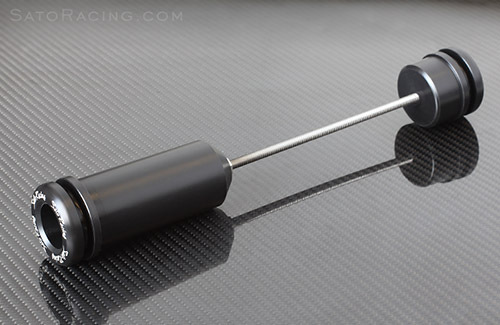 (Ducati 848-size) pin / shaft. 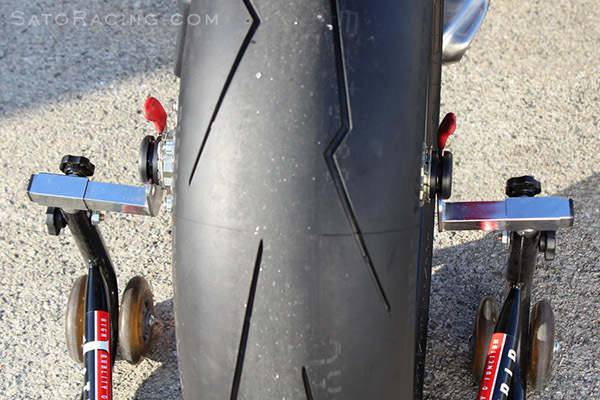 848, Streetfighter 848, or early 1098 models. 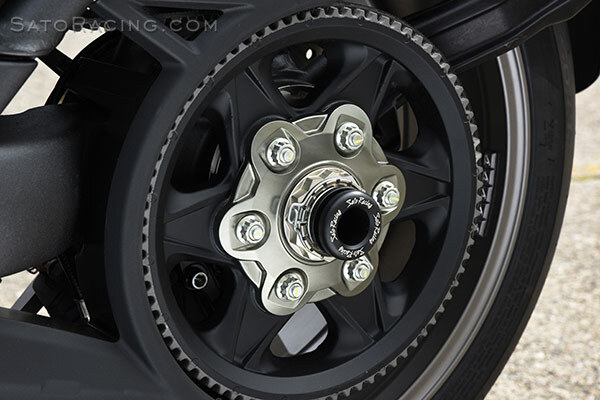 SATO RACING stocks a full selection of Replacement Parts for all our Sliders.